The book includes papers presented in Euroacademia conferences. This edited collection brings together a wide range of topics that shed light on the social, cultural, economic, political and spatio-temporal changes influencing post-socialist cities of Eastern Europe. Different case studies are presented through papers that were part of the proceedings in the Euroacademia International Conference series Reinventing Eastern Europe. Imaginaries, identities and transformations represent three blocks for understanding the ways in which visual narratives, memory and identity, and processes of alterity shape the symbolic meanings articulated and inscribed upon post-socialist cities. 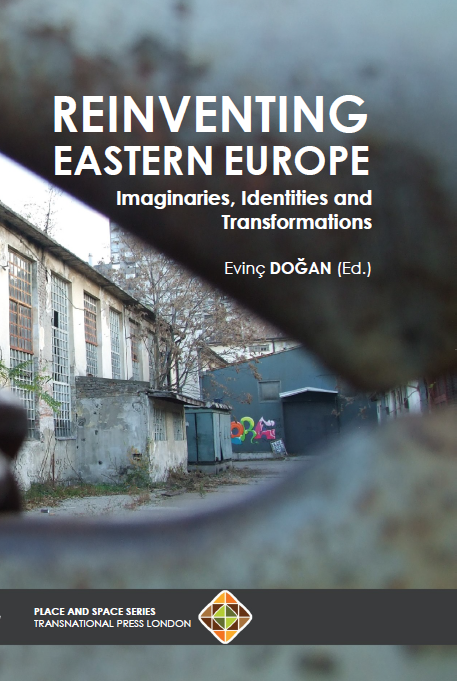 As such, this book stimulates a debate in order to provide alternative views on the dynamics, persistence and change broadly shaping mental mappings of Eastern Europe. The volume offers an opportunity for scholars, activists and practitioners to identify, discuss, and debate the multiple dimensions in which specific narratives of alterity making towards Eastern Europe preserve their salience today in re-furbished and re-fashioned manners. Evinc Dogan is Assistant Professor at the Faculty of Tourism at Akdeniz University, Turkey. She holds a PhD in Management and Development of Cultural Heritage from IMT School for Advanced Studies Lucca, Italy. She received an MSc in History of Architecture from Istanbul Technical University and BA in Tourism Management from Bogazici University, Turkey. She is the author of Image of Istanbul: Impact of ECoC 2010 on Rebranding the City. The book includes papers presented in Euroacademia conferences. Despite having made its first application for EEC membership in 1959, Turkey’s bid to join the EU remains as controversial as ever, with Turkey and EU relations arguably at an all–time low in the aftermath of the attempted coup d’état of July 2016. 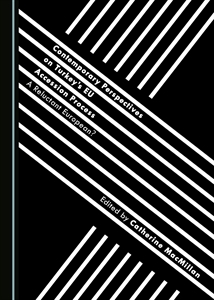 In this context, the essays here, while using (de)Europeanisation as a broad theoretical framework, explore the current state of Turkey’s EU accession bid from a variety of perspectives, including discourse analysis, Euroscepticism and institutionalist approaches. The essays focus not only on discursive and policy (de)Europeanisation within Turkey, but also examine both official EU and European right–wing Eurosceptic discourse on Turkish accession, as well as approaching the Turkish accession process through comparisons with the contemporary Western Balkan countries and with post–war Germany. Catherine MacMillan is Associate Professor in the Department of English Language and Literature at Yeditepe University, Turkey. She obtained her PhD in European Studies from Marmara University, Turkey, in 2008 with a dissertation on the EU’s Justice and Home Affairs policies. She is the author of Discourse, Identity and the Question of Turkey’s Accession to the EU: Through the Looking Glass (2013). Her current research interests are Turkey’s EU accession process, and European populist and Eurosceptic parties, with a primary focus on discourse analysis. She is the author of various book chapters and articles on these issues, and her work has been published in journals including the Journal of Common Market Studies and the Journal of Contemporary European Studies. 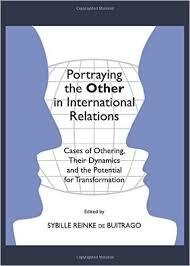 The book includes papers presented in Euroacademia conferences. 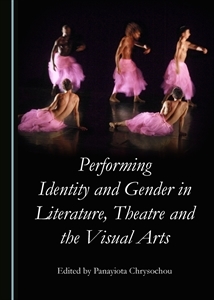 This book collection presents a mélange of chapters which focus on the ways in which performance and gender are inextricably bound to identity. The main axes revolve around gender, performance and identity as a tripartite schema and how this schema plays itself out in various genres and styles, and in different contexts, in order to illumine the fact that identify (or even gender and performance) is an ever-changing, and never static, category. Identity (as well as gender and performance) is not a fixed or static social construction but a fluid one which constantly fluctuates semantically, conceptually and contextually. As an extension of this, even gender identity itself is performative. In various ways, the chapters in this book address the concept of identity as a performative and political tool and/or as a site of political resistance and change; identity as a fluid and shifting construct in the theatre, the performing arts and literature generally; cultural and literary works or works of art which resist fixed identifications and engender performative meanings/ways of “reading”; gender and identity formation; the abject as a site of identification; and, finally, sexuality as a performative and identificatory construct or mode of identification. Thus, since the question of identity is often linked to gender and performance, this edited collection seeks to ask big questions regarding identity. As such, it would appeal to both literary scholars and researchers in gender and/or performance studies and identity politics, as well as to anyone interested in identity formation and the visual arts. Its definitive aim is to scrutinize the state of the art in collective identities research, to bring once more into debate the processes of identity making, and identity building in both constructivist or de-constructivist dimensions. It attempts to open the floor to dynamic multi-dimensional and inter-disciplinary understanding of identities today. Panayiota Chrysochou studied English Literature at the University of Cyprus, before going on to complete her Masters degree at Warwick University, UK. She received a PhD in Psychoanalysis and Theatre from the University of Edinburgh, UK, and conducted her postdoctoral research on Gender Studies at the University of Cyprus. Her research interests include psychoanalysis and trauma studies, performance theory, postcolonial theory, semiotics, the Victorian Gothic, and the Gothic generally as a mode and aesthetic, as well as texts ranging from the nineteenth to twenty-first century. She has published in journals such as American Imago, Semiotica, The Journal of the International Association for Semiotic Studies and The Journal of Literature and Trauma Studies. Her current research re-examines the effects of technology and vision on the theatrical body through a psychoanalytic framework and how trauma functions as an inscribed narrative on bodies and identity. Sybille Reinke de Buitrago is Associate Researcher at the University of Hildesheim and Fellow at the Institute for Peace Research and Security Policy at the University of Hamburg, Germany. She holds a PhD in Political Science, a MA in International Affairs with specializations in peace and conflict resolution and international communication, and a BA in International Studies. Her research focuses on aspects of perception, culture, identity, norms and ideas in international relations, particularly in security policy and conflict situations, as well as on social constructivism. In her recent book, Threat Images in International Relations: American and German Security Policy on International Terrorism, she analyses threat perceptions of security policy decision makers in Germany and the US. Her other publications are on the role of trust in conflicts in Asian politics and policy, and on psychological-cultural aspects in security policy, in the Journal of Strategic Security. She is an alumna of American University in Washington, DC and a US State Department Alumna. European identity has always been in a state of construction. With the creation of the European Union, however, this construction now takes place within an institutional framework, introducing a number of new variables. Selcen Öner’s Turkey and the European Union: The Question of European Identity is an in-depth analysis of the influence of these two entities on each others’ identity as Europeans in a society of increasing social, political, and cultural connectedness. The mutual influence between Turks and Europeans gained significant momentum in 1999, when the European Union granted official candidate status to Turkey at that year’s Helsinki Summit. Turkey’s Europeanness is still being debated, despite the official stance that fulfilling the Copenhagen criteria and adopting the EU acquis are enough for being a full member of the EU. These debates have even lead to arguments between political elites of the European Union about their “privileged partnership” with Turkey. When comparing the attitudes of the European Union towards Turkey versus those towards Central and Eastern Europe, one could argue that that “return to Europe” discourse has accelerated the membership of the latter, but not the former. Currently Turkey is neither considered an “other,” nor a member of the “family.” Rather, Turkey is commonly relegated to the role of “crucial neighbor” or “strategic partner” by the political elites of the EU. Öner’s study analyzes a series of interviews conducted with several members of the European Parliament and sheds serious light on the fact that discussions on Turkey’s membership in terms of her Europeanness reveal countless ambiguities in defining European identity. It is clear that there is no common understanding or definition of European identity, even amongst political leaders in the EU who challenge Turkey’s authenticity as a member of European society. Dr. Selcen Öner is currently Assistant Professor in the Department of EU Relations from the Bahçeşehir University, Istanbul. 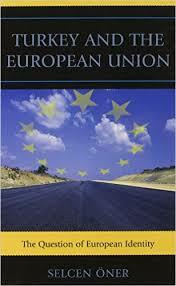 A timely and balanced book that addresses vital questions about the future of Europe. As rightly grasped by the author, the question of Turkey’s membership to the EU cannot be divorced from the idea of Europe and European identity. Selcen Öner’s argument incorporates sections on different aspects of European identity and links this issue with the current debates on Turkey’s membership to the EU. Both theoretical and field research on the issue provide the reader with a precious insight into how the future of Europe is being shaped on the basis of a process of identity construction. Öner is ideally qualified to write this perceptive work on one of the major issues in European, indeed world, politics. She faces the difficult issues about Turkey’s entry into the European Union and points towards how they can best be handled. She not only knows both the EU and Turkey well, she also gives solid content to the idea of a future-oriented European identity for which Turkish membership would be good for both sides. This book, written in French and published by Peter Lang Editing House in Switzerland, presents the cultural history of the West from Homer and Moses until the present. It tackles with humor, nonetheless seriously, questions regarding European identity, roots of our modern world and the role of the individual in History. The subject is set up as a dialogue between the narrator and different “accessories” like the Clarus Encyclopedia, Golem Computer, Frigo Refrigerator, Diapo Slide Projector and Ahuva, the Blow-up Doll. The narrator is seeking a European passport – But to obtain it, he has to prove his familiarity with the culture of the old continent. His “advisors”, Encyclopedia and Computer, argue that to understand European culture an immense body of knowledge is required – the narrator opposes that it matters more to be acquainted with the life and work of some of its few geniuses. Ridiculous in the eyes of his “assistants”, he proposes a wager: If he succeeds in convincing them that he is right, he will get the passport. Ultimately he will undertake, accompanied and assisted by his “domestic appliances”, a fascinating trip throughout the History of European culture. Martin Rodan is a senior lecturer of aesthetics and philosophy at the Hadassah College and of the French literature at the Hebrew University of Jerusalem. Ce livre présente les nombreuses péripéties de l’Histoire culturelle de l’Occident, d’Homère et Moïse jusqu’à nos jours. Il traite avec humour, mais néanmoins sérieusement les questions concernant l’identité européenne, les racines de notre monde moderne et le rôle de l’individu dans l’Histoire. Le sujet est présenté sous forme d’entretiens entre le narrateur et différents « personnages accessoires » tels Clarus l’encyclopédie, Golem l’ordinateur, Frigo le réfrigérateur, Diapo le projecteur et Ahuva la poupée gonflable. Le narrateur demande un passeport européen ; à cette fin, il doit prouver ses connaissances sur la culture du vieux continent. « Ses conseillers », l’encyclopédie et l’ordinateur, affirment qu’il faut posséder un savoir immense pour comprendre la culture européenne ; lui prétend au contraire qu’il faut plutôt connaître ses quelques grands génies. Quitte à paraître ridicule devant ses « assistants », il propose un pari : s’il réussit à les convaincre de la justesse de sa thèse, il obtiendra le passeport désiré. 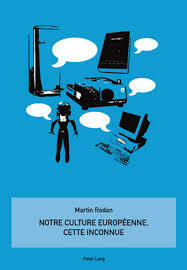 Mais pour y arriver, le narrateur, équipé et aidé de ses instruments accessoires, doit entreprendre un fascinant voyage à travers l’Histoire de la culture européenne. Martin Rodan enseigne la philosophie et l’esthétique au Collège Hadassah et la littérature française à l’Université Hébraïque de Jérusalem. 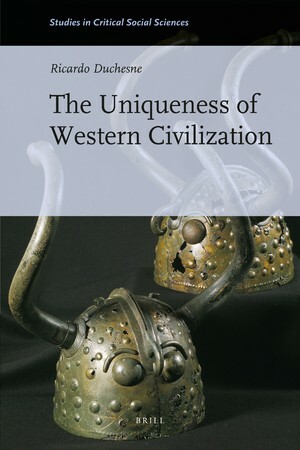 The Uniqueness of Western Civilization is a recently published book by Ricardo Duchesne at Brill. The book is an ambitious and consistent endeavor resulted from a long lasting research that combines an informed theoretical background with individual argumentative choices and empirical observations supporting an interesting challenge to widespread assumptions about the Western culture and civilization. After challenging the multicultural effort to ‘provincialize’ the history of Western civilization, this book argues that West has always existed in a state of divergence from the rest of the world’s cultures. The main question is not ‘why modern science emerged in Europe and not in the civilizations of Islam and China’, nor why Europe industrialized first; it is, rather, why the great accomplishments in the sciences, arts, and humanities have been overwhelmingly European since ancient Greek times. One of the most original and daring arguments of the book is that the roots of the West’s ‘restless’ creativity and uniquely libertarian spirit are to be found in ‘the aristocratic warlike culture’ of pre-historic Indo-European speakers. This extensively researched book, with about 850 books and articles listed in the bibliography, carefully assesses all the interpretations on the rise of the West. This means that the book is skillfully confronting grand narratives and has both illustrious partners of theoretical dialogue and also a contemporary focus and inscription in salient disciplinary debates. In this framework the book makes the argument that it is not in the often visited reasoning articulated by neo-Marxitsts, geographical determinists, and standard economic historians that one should find the drive for the development of the Western civilization but in the ideas and heroic actions of aristocratic thinkers and leaders. That’s why, in Duchesne’s argument, it is in the particularly valued nature of individual creativity that one should see and seek the uniqueness and distinctiveness of Western civilization. As such topics refer to an enduring debate and potential explanatory plurality, Euroacademia saluted the appearance of the book through an open workshop within a conference. The book presentation by the author was joined by the other keynote speakers’ insights on the book and an open floor workshop where participants can share their views, ideas and research results on the topic. Ricardo Duchesne is Professor at the University of New Brunswick, Saint John, Canada.